Our Side-Event on Youth Empowerment. 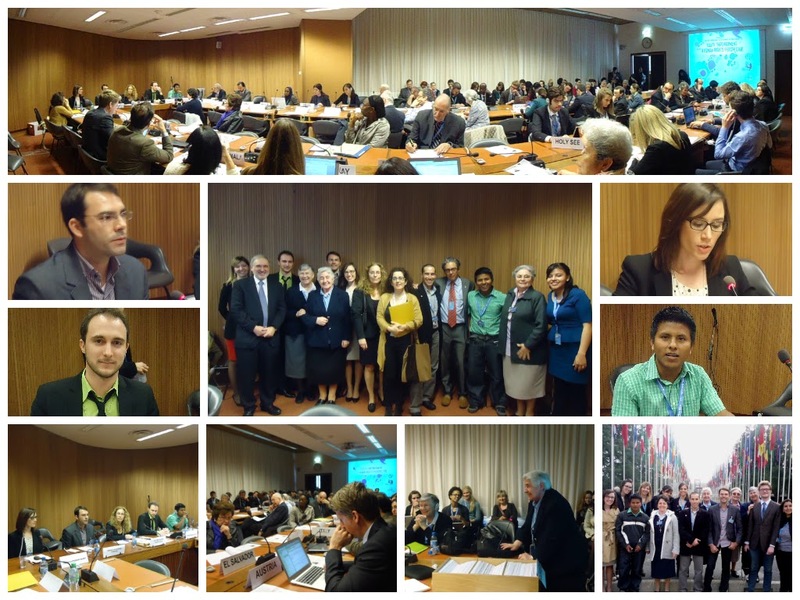 youth and to promote the Side-Event and ask for sponsorship. context in which they were speaking. political participation and a social commitment”. peaceful protest is not always respected”. about the actions taken by their Governments for the benefit of youth. have national and European projects on this issue”. reaffirmed the need for an effective empowerment of young generations. the youth in society for a human rights society”. way we can create empowered generations”. Side-Event, formal policy combined to daily life. further towards a new point of view and new awareness. Rights Council, meaning that a seed has been planted. cross-regional statement, a panel on the issue or a resolution at HRC level. the Council; and a flyer produced by one of our young volunteers. That we are young means we have the most to lose by standing idle.